The bombing of Manchester Arena on May 22 struck the very heart of British society. It was a horrific, direct assault on the innocent and the vulnerable. Many of the victims were children and young people, with their whole lives ahead of them, who had gone to listen to the music of Ariana Grande, an event that many had spent months looking forward to. Such gigs are a daily occurrence across the UK and the West and music plays an important role in everyday lives. But what of those young people whose lives do not include access to music, or education? What of those directly affected by war or political turmoil? In Syria, 11m people have been displaced from their homes and a whole generation have had their lives destroyed by the conflict. Similar stories can be found in neighbouring Iraq and Lebanon, in Egypt, Turkey, Yemen and Bahrain. Under these conditions, it is increasingly difficult for people to live lives shaped by the structures those in the West recognise. Ensuring that basic human rights are met is nigh on impossible. The right to education, for instance, is one of the first casualties of war and with the destruction of state infrastructure, schools are lost, too – along with the opportunities and hope they offer. Politics is concerned with the administration of home or city in accordance with ethical and philosophical requirements, for the purpose of directing the mass toward a behaviour that will result in the preservation and permanence of the (human) species. His words still ring true today. Writing before such luminaries as Thomas Hobbes, Khaldun’s vision of politics and political organisation retains contemporary relevance – and it is easy to see why. To suggest that politics is driven by existential concerns about the preservation and permanence of the species appears intuitive. Yet what are the ramifications if politics fails? States, by their very nature, are projects of exclusion. They define who is a citizen and, conversely, who is not. Such divisions are constructed then performed on a regular basis, in a range of different ways, from voting to singing national anthems. Of course, other identities exist which can be equally exclusionary, be they based around ethnicity, religion, gender, class, location or a number of other factors. When such identities are subject to change there are undeniably serious repercussions. A lack of confidence in state structures is certainly one such source of frustration. Across the Middle East, states such as Qatar and Saudi Arabia have traditionally sought to address unemployment by creating jobs within the public sector. Yet with huge demographic growth across the Middle East where populations have increased by 53% between 1991 and 2010 – and challenging economic situations – their ability to bring people into the public sector was reduced. Additionally, drought and other environmental factors have resulted in widespread migration from rural communities to urban centres, itself posing further challenges. 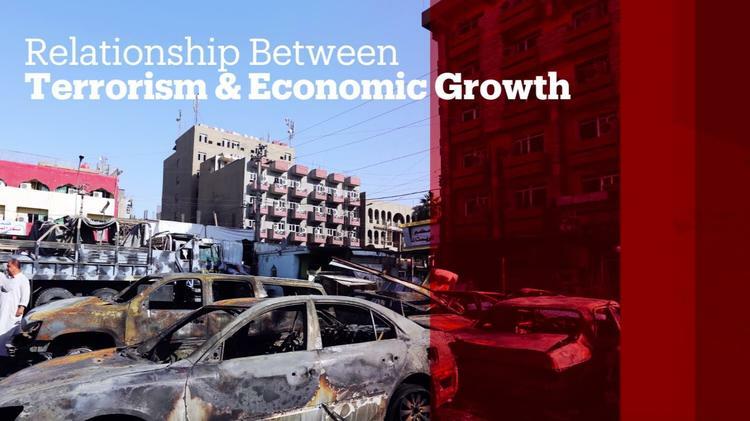 Across the region, a relatively young population – 15- to 29-year-olds make up 28% of the Middle East’s population and in Arab countries, 60% of people are under 25 – is facing a challenging and deeply uncertain future. Rapid demographic change in the region means that by 2020 it is estimated that more than 350m people will be living in countries deemed “vulnerable to conflict”. By 2050, it is estimated that this number will reach 700m. If so, the ability to regulate and protect life will be increasingly challenged. Moreover, changing demographics put additional pressure on state structures to meet basic needs, to provide education and health care across a number of different states. An Arab Human Development Report from 2016 correctly stressed that “the events of 2011 and their ramifications are the outcome of public policies over many decades that gradually led to the exclusion of large sectors of the population from economic, political and social life”. Many have bemoaned the failure of academics and policy makers to predict the Arab Uprisings, but the data was there. The warning signs were clear. Demographics were changing, people were increasingly angry, and a catalyst – the self immolation of Mohammad Bouazizzi – was the trigger that caused many to take to the streets in protest. Anger is not the sole reason for individuals to resort to violence. Nor is it the sole factor in causing radicalisation. But it is an important factor. Anger is an understandable consequence of states’ failure to meet basic needs. In the Middle East, tens of millions of youths have been left without opportunities and are facing grim futures. This disillusioned demographic is fertile ground for radicals. But anger can also be triggered by the interference in the region by external states and we should not ignore the role of our own foreign policy in this, whether it is in Afghanistan, Syria or Libya. The legacy of colonialism in the Middle East is not restricted to academic or historical debates. People continue to feel aggrieved by it. Of course, we can still see the terrible effects of the 2003 Iraq war, but the escalation of events in Libya, Syria and Yemen, resulting in humanitarian crises not seen since World War II has, in part, been brought about by Western (in)action. The absence of any sound plan following the toppling of the Ghaddafi regime created space for militias to gain power and commit violence across Libya. Meanwhile, Western flip-flopping in Syria empowered the Assad regime, which facilitated the deaths, displacement and torture of millions. Anger created by these factors is not the sole cause of the Manchester attack, but it can help to explain why Islamic State narratives find traction. The French political theorist Michel Foucault once spoke of the boomerang effects between coloniser and colony – and it is easy to see how, in today’s global world, what happens in the Middle East can have implications for us elsewhere.